רבי שמעון בן יוחאי learns from יעקב אבינו that upon a miracle being performed for your sake, you should endeavour to do something productive for the good of the masses. Certainly the parallels between רשב"י and יעקב run far deeper than simply a single miracle. יעקב was running away from his brother עשו who had sworn to kill him. He was forced to flee. Although he wasn't in hiding, per se, he had to travel a certain distance to ensure he was out of harm's way. רשב"י was fleeing a death sentence from none other than עשו's Roman descendants. I also couldn't help but notice another interesting irony in the parallel between יעקב אבינו and רשב"י. The incident which led to רשב"י's death sentence was a comment as to the ulterior motives behind the Romans' establishment of marketplaces, bathhouses and bridges. According to שמואל and ר' יוחנן, when יעקב arrived in שכם his public service was actually establishing either a marketplace or a bathhouse (or both, I suppose.) Perhaps recalling that civic contribution on the part of יעקב was a discrete way of רשב"י expressing some regret for the comments he had made. 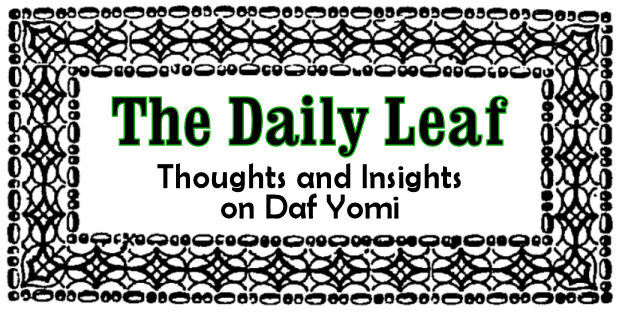 :מ Do thoughts have language?